The Xilloc Click Safety Adapter is developed for easily connecting the artificial limb with the currently used intramedullary ILP implants with a distal 16/18 taper and the abutment of the Branemark system. 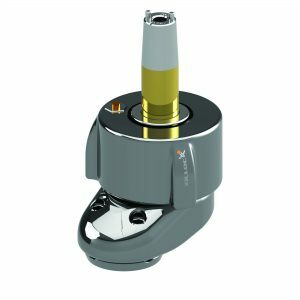 The adapter has a safety mechanism that protects the bone against fractures in case of extreme rotational forces. The adapter is easily to install, and adjust by a prosthetist.